Pittsfield YMCA — Barry Architects, Inc. The addition and alterations to the Pittsfield YMCA included an addition that housed a 25 meter swimming pool with six lanes, five racquetball courts, one squash court, viewing facilities for the racquet sports, and a nautilus and aerobic area. The new addition was constructed on a tight urban site where the building was built directly on the property lines on three sides. The deep end of the pool was constructed approximately 25 feet below the adjacent street level. The structure is a reinforced concrete frame supported on caissons drilled through a layer of sand to the glacial till approximately 40 feet below grade. The racquetball courts, which are on the upper level above the pool, are supported on a precast concrete “T” structure that spans the pool. The interior of the existing facility was also extensively renovated. The main entrance and lobby were relocated and made handicap accessible. A new elevator was also installed to allow access to all levels of the facility. 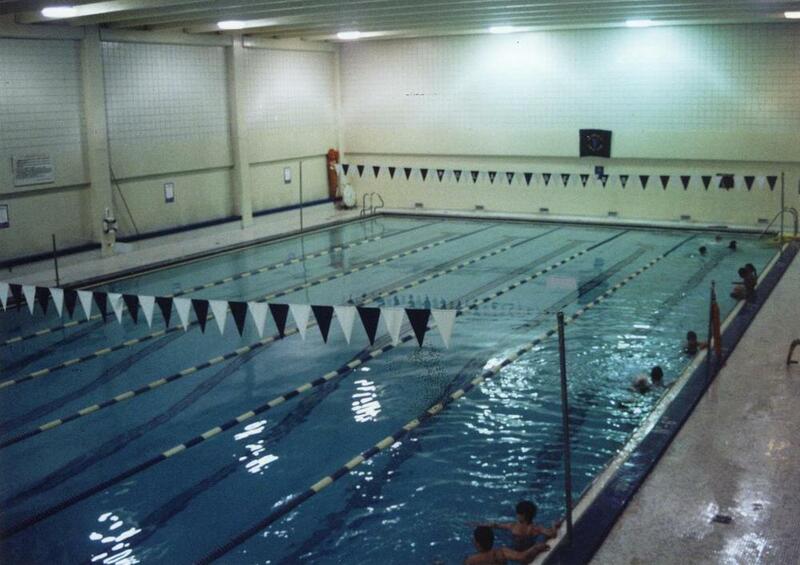 In the existing basement, the original pool was removed and the locker rooms, showers, steam rooms, health club, and weight rooms were totally renovated. Special attention was paid to the design of the pool’s heating and ventilation system. A thermal heat transfer wheel moves heat from the moist, exhausted pool air to the incoming dry, fresh air. The project was supported and built with funds from a local fund drive and a grant from the United Way.